I hate to admit it, but I do like to buy stuff. I can always find a reason to buy new sneakers, new music, technology, watches, an iPhone case, headphones, socks or concert tickets. I know how hard it is to say no to something you think you really want. But if you team up with the right financial life advisors (San Antonio), you could start spending a little smarter. It is so easy to buy today. Back in the day, you would have to break a $20 to buy something. But that’s not the case anymore now that most of us, if not all of us, have debit cards. McDonald’s loves that you don’t have to break a $20 anymore. In fact, today McDonald’s is making $3.50 more for each transaction compared to the time in our lives when cash was predominantly used. Considering they sell 75 burgers every second, that’s a lot of extra cash! If McDonald’s knows that easy purchase options are money makers, so does every store in a mall or outlet, and I can assure you that Amazon knows the game as well. 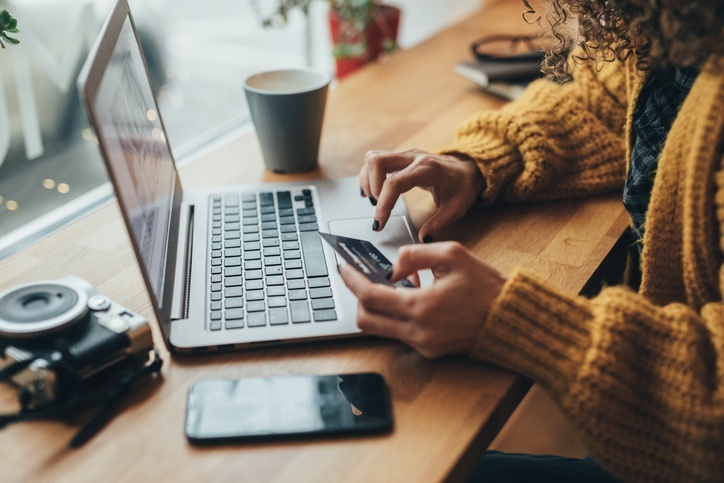 Today, debit cards, “one-click pay,” Smartphones and thumbprint purchases all take away the necessary “pause” in spending that allows us time to think. It’s a MasterCard mental hijack, and it steals directly from your wallet. The research is clear: When there is less friction to buying, you will spend more. To fight this temptation, I recommend developing a habit to simply pause before you buy. The bigger the purchase, the longer the pause. I had a friend who decided to get a night’s rest before purchasing a new truck. This one night of rational thinking prevented him from absorbing an $800 monthly truck payment. The pause is powerful to building wealth. That’s why it should be introduced early in life. If you need help pausing, ask yourself, “Do I need it, do I love it or will it make me money?” (The last question is for the entrepreneur.) If you can’t answer the questions with an affirmative, walk away from Amazon or track out of Target. Your product will be there tomorrow. Finally, I want to make sure you also implement the following rules that will protect you in your spending journey. Get alerts from your bank. You can set up alerts with most banks that notify you if your account falls below a certain balance. This will help you avoid dreaded overdraft fees. Sign up for a money-tracker program. There are plenty of options available, such as Dave Ramsey’s EveryDollar, Quicken and Mint. Don’t expect the software to do all the work though. You have to input data and stop spending when you are about to run short of money. Start by checking on your spending at least every month to make course corrections before it’s too late. Never use credit cards or department store cards. I don’t care what points, discounts or free offers are pitched by the clerk. They are dangerous. What if you had just enough pauses in your spending that you were able to save up for a car? Believe it or not, it is possible. Not good at budgeting? We can help! Download this free worksheet and start planning today. Have you ever been in a car accident? Had an emergency medical issue? Have you had both at the same time? I did. I was hit by an uninsured motorist and sustained a painful neck injury. To top it off, I didn’t have much cash in the bank. This could happen to me again or it could happen to you. Pew published a survey on American finances and six out of 10 Americans said they suffered some sort of “economic shock” in the prior 12 months. I know we think of emergencies as spontaneous road trips or an “unexpected” birthday gift, but the emergency fund is set up for true emergencies: The inevitable job loss and expensive medical bills. It is a painful journey in today’s marketplace for someone hunting for work. Face it, the implementation of automation has changed the skillset required to justify the high cost of wages, Social Security and unemployment insurance most employers have to consider when making a hiring decision. Consider this: Most people who get laid-off need four months to find work. Can you survive right now without a paycheck for four months? Much of the initial financial burden for health care today is on your shoulders. Before insurance pays, you will have to cover the deductible. Today, the average deductible for an individual is $1,318. But when you tack on the other out-of-pocket costs, such as co-insurance, you will pay much more than that. Also, check your policy’s maximum out-of-pocket costs. For the 2017 plan year, the out-of-pocket limit for a marketplace plan was $7,150 for an individual plan and $14,300 for a family plan. As I said, few of us have the cash to cover these medical costs. I strongly encourage you to establish an emergency fund between three and six times your monthly expenses. The amount varies based on the income sources of the family; for example, are there two breadwinners or one? An emergency fund is called a rainy-day fund, because when the unexpected storm comes, you may not have to worry like those who didn’t prepare. Be proud that you have that foresight. It’s cool to get in a rhythm of saving for retirement. If you need help, as many people do, contact the right financial life advisors San Antonio, and we can help get you on the right track. It takes a few years, but you’ll be proud when you see the money add up.